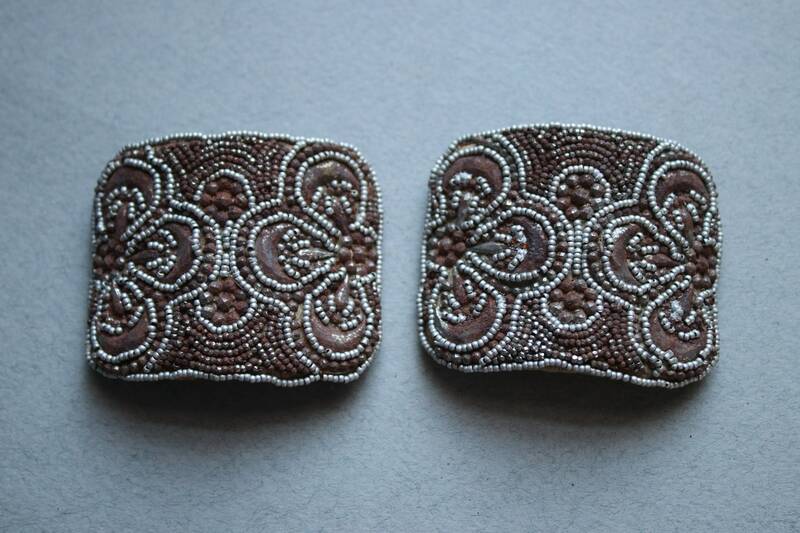 These beaded French shoe clips are circa 1930s. 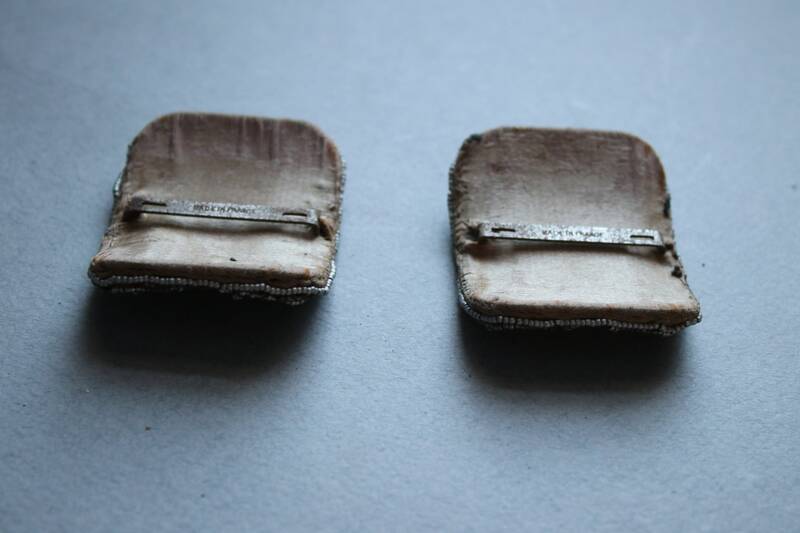 They could possibly be older, but I am conservatively dating them. 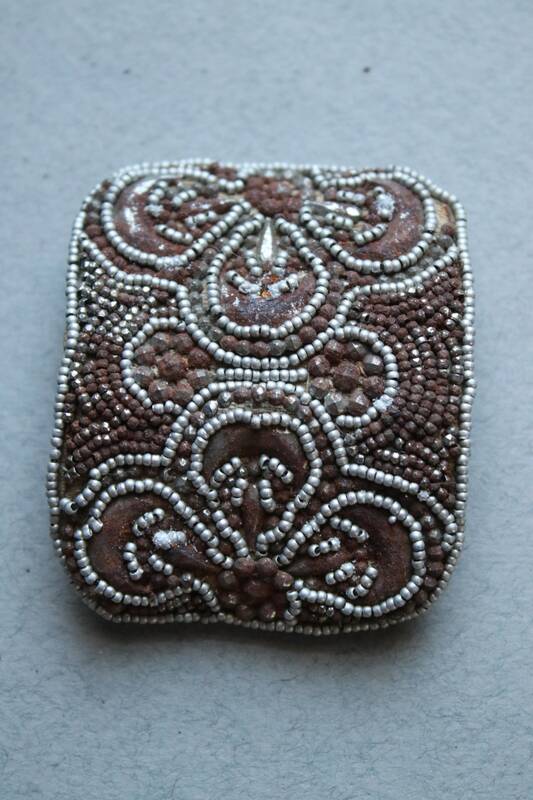 What I thought were brown resin beads alternated with silver colored beads, are actually cut steels with rust. 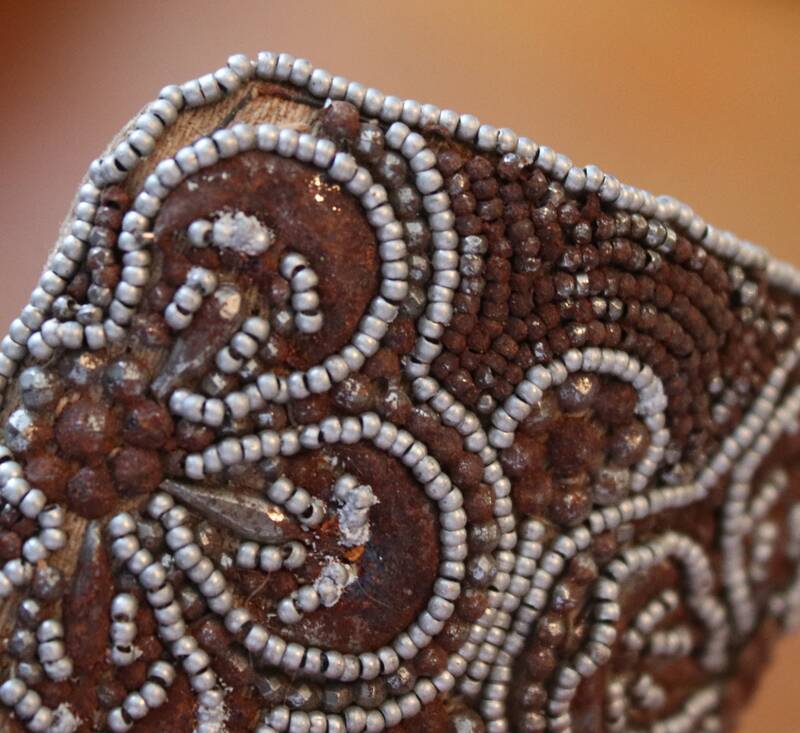 The silver beads are of a rust-resistant metal, but the steels have the brownish rust. 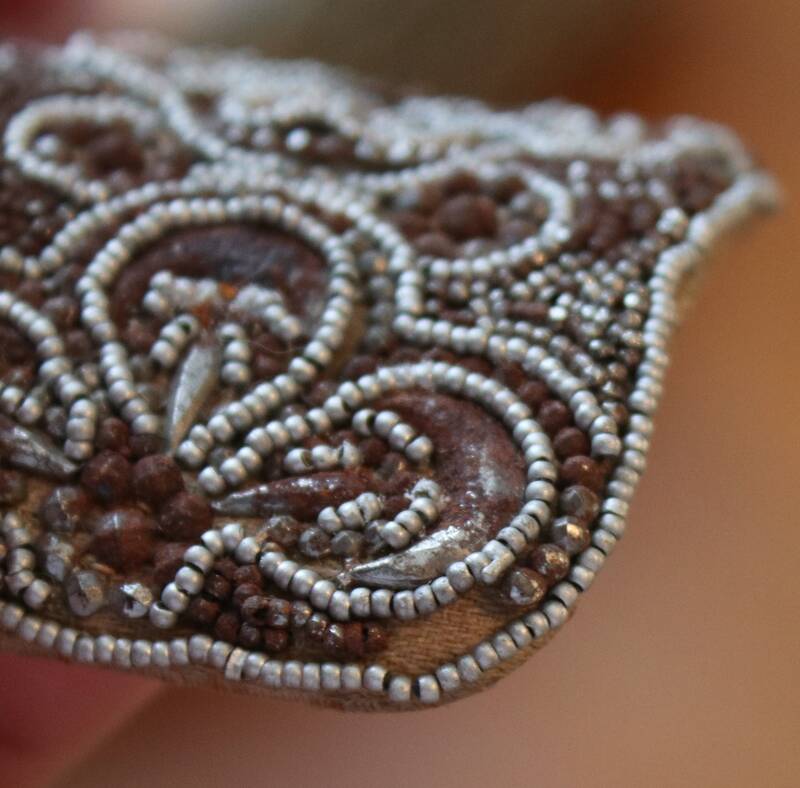 There are a couple of areas missing beads on one of the shoe clips, as seen in the last two photos. 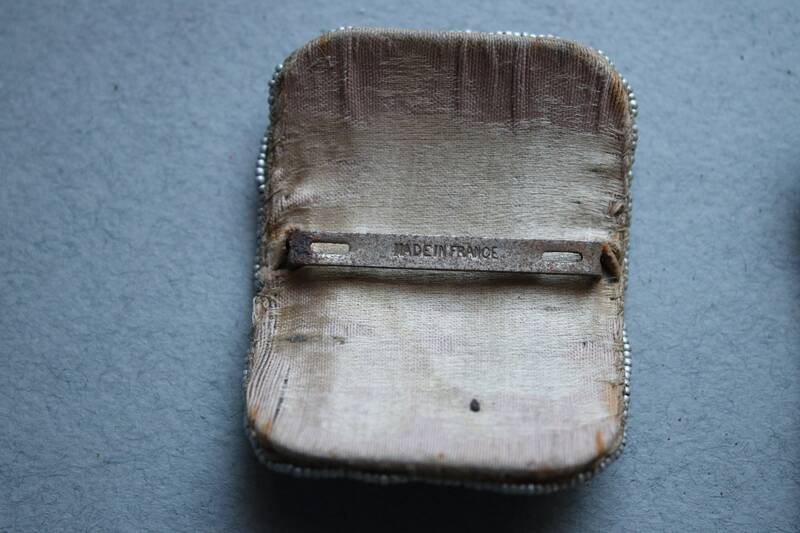 The backs are silk lined and the clip portions are marked "Made in France." 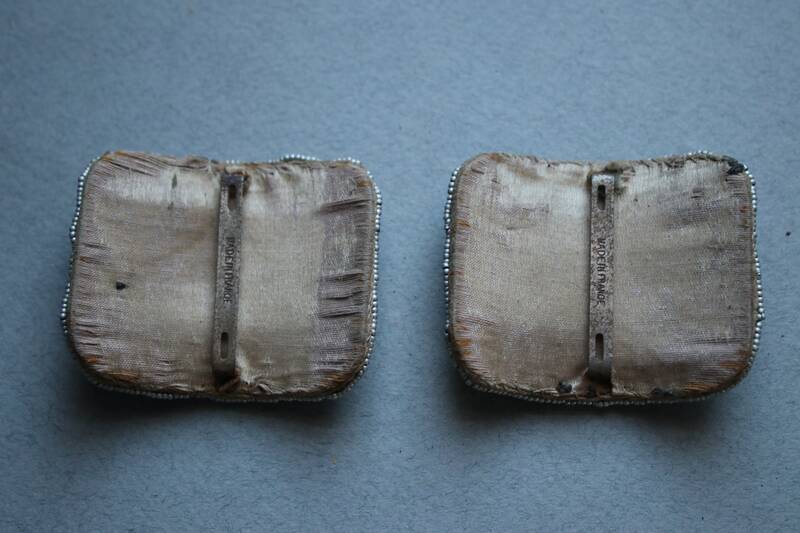 The shoe clips are being sold as a pair and are priced accordingly with respect to their condition. 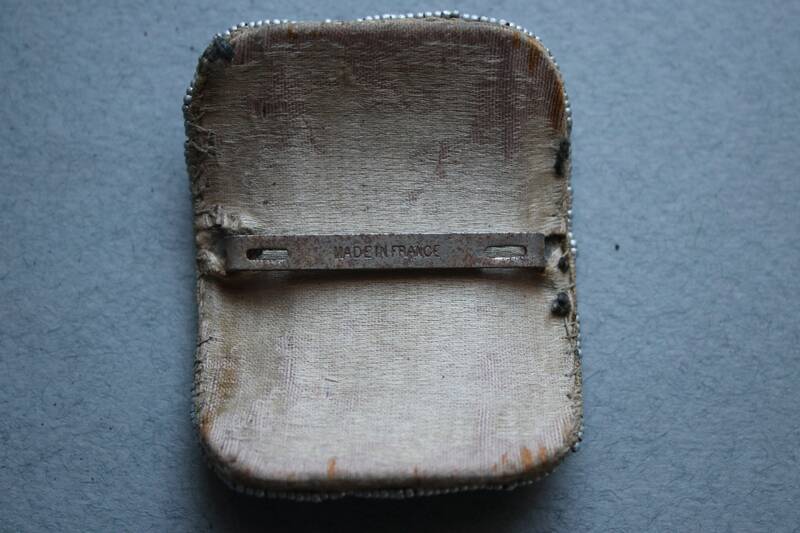 Dimensions are 2.5" x 2".